As a young boy, Steven Lang fell in love with a book of paintings of the Old West by Frederic Remington. He knew then that some day he would strive to become part of and contribute to the world of western fine art. Over the years, that book has become one of his prized possessions and Remington remains to this day Lang’s most influential western artist. Being of Pawnee and Cherokee descent, the Native American Indian will always be his favorite subject. However, to fully depict the legacy of America’s Western Heritage, his body of work encompasses the entire genre of the American West. 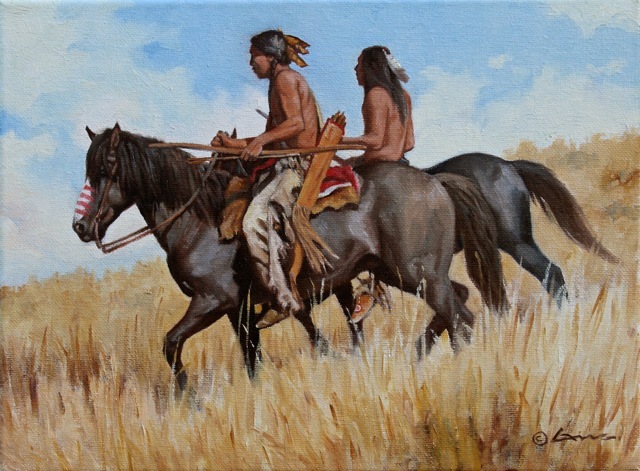 Cowboys, Ranch Life; Early Mountain Men & European Explorers; US Cavalry & Homesteaders; Western Wildlife & Landscapes are all subjects of his paintings. His participation in living history reenactments provides him with a firsthand visual reservoir of ideas, authenticity and ethnic truths. 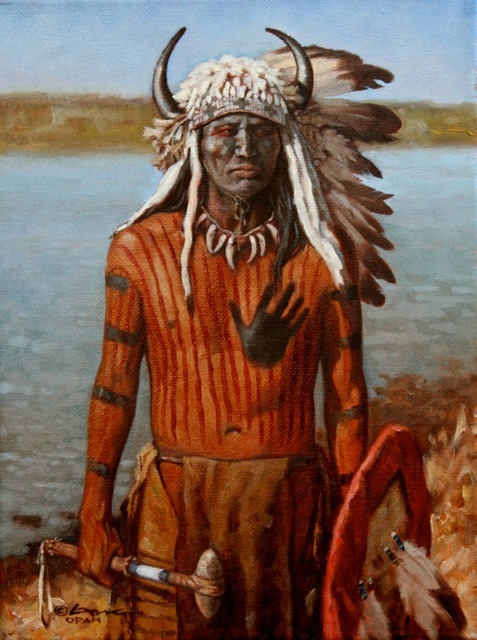 ” I firmly believe that having an experiential knowledge of Plains Indian Culture, Western Frontier life and its vast landscape, has enabled me to create Oil on Canvas images that truly reflect the sometimes tragic, but more often glorious legacy of our American West “. 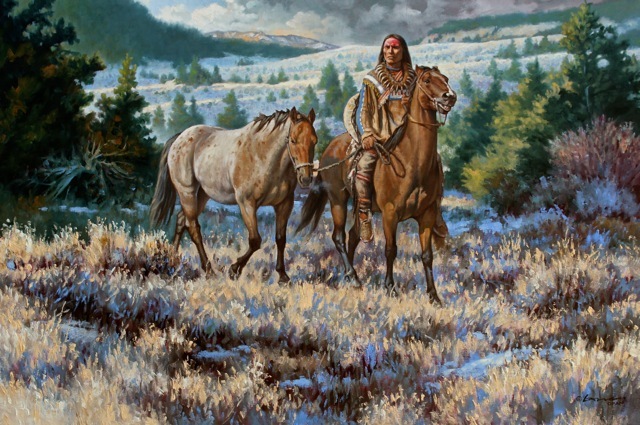 In Southwest Art Magazine, April 2000, Lang was featured as ” The Story Teller," filling his canvases with spellbinding tales of the Old West and captivating his audience with story lines that give accurate description of historical facts to his paintings. 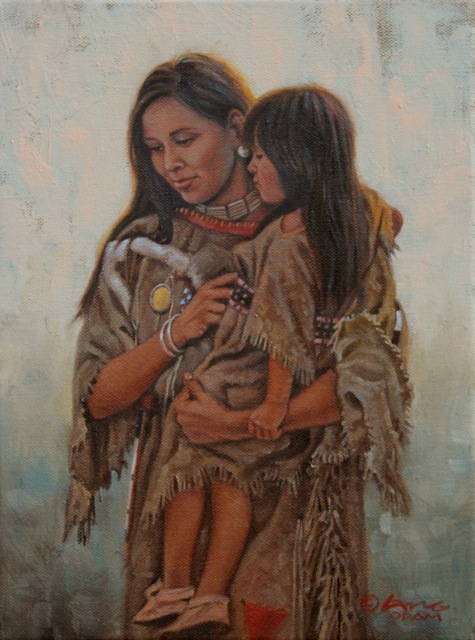 The Plainsmen Gallery is proud to represent the paintings of Steven Lang. For more information or to make a purchase call or email the gallery: 1-888-779-2240 or art@plainsmen.com. 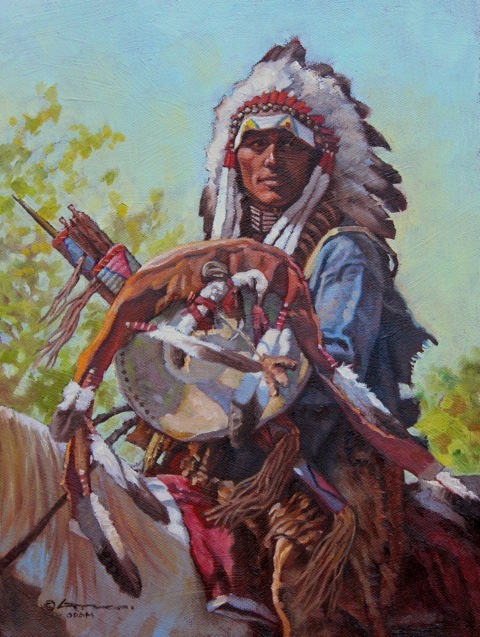 For more information or to make a purchase call or email the gallery: 1-888-779-2240 or art@plainsmen.com.